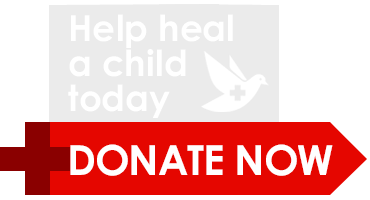 The World Pediatric Project Needs Your Help! The St. Vincent and the Grenadines Health and Education Foundation has launched a major fundraising drive for the World Pediatric Project this holiday season and Trinity is here to help. The details are below, but in short, every dollar the foundation raises this season, Trinity will be matching with no limit on giving. This is a tremendous opportunity to make a very real impact on ongoing pediatric care throughout the world. So, what is the WPP? The World Pediatric Project is an organization based in Richmond, Virginia that not only brings medical experts to under-served areas of the world to provide immediate care, they contribute to the establishment and growth of sustainable healthcare infrastructure in those areas. They are a double-whammy of a charity; fixing what needs addressed on the scene and helping raise the quality of care even after they're gone. You can read more here. Frequent blog subscribers will know that Trinity School of Medicine has had a longstanding relationship with the World Pediatric Project. Beyond our great appreciation for their efforts globally, their regular missions to the region have been a terrific opportunity for the school's 5th term students to learn from visiting experts, help in the field, and grow their professional network. As we enter the season of giving, it's only natural that we strengthen our commitment to the WPP through our partners at the St. Vincent Health and Education Foundation, a non-profit dedicated to expanding opportunities and increasing quality of life for the youth of St. Vincent and the Grenadines. Please consider sharing what you have with this organization and help Trinity maximize their impact. Once again, Trinity School of Medicine is matching 100% of all donations. The goal is to both expand and deepen the WPP's impact, not just in St. Vincent, but around the world. Speaking frankly, we can, together, do a tremendous amount of good here.